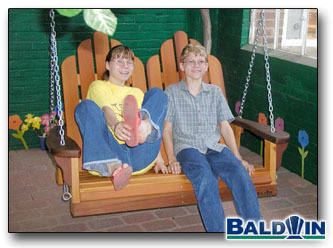 The swing seat is 41 inches wide. Thats plenty of room for two adults or three children. The stainless steel eye hooks are 48 inches apart. That's perfect for mounting to the rafters of almost every porch in this country - That's where the rafters are supposed to be.